The sophisticated coating Nikon applies to MONARCH 3 binoculars goes far beyond conventional ones. Multilayer coatings, which provide an even, higher light transmittance across the entire visible light spectrum, are applied to all of the lens and prism surfaces that transmit light. This minimizes the loss of light due to reflection, thereby ensuring a more natural, clearer view. The technique has been perfected by Nikon and provides almost the same brightness through the binoculars’ prisms as that perceived by the naked eye. Nikon has manufactured the MONARCH 3 binoculars, as well as many other of their optics, with a high-eyepoint design. This provides a clear field of view for everyone even with sufficient space between the user's face and the binoculars’ eyecups. This delivers a full field of view through the binoculars even when the user is wearing eyeglasses. 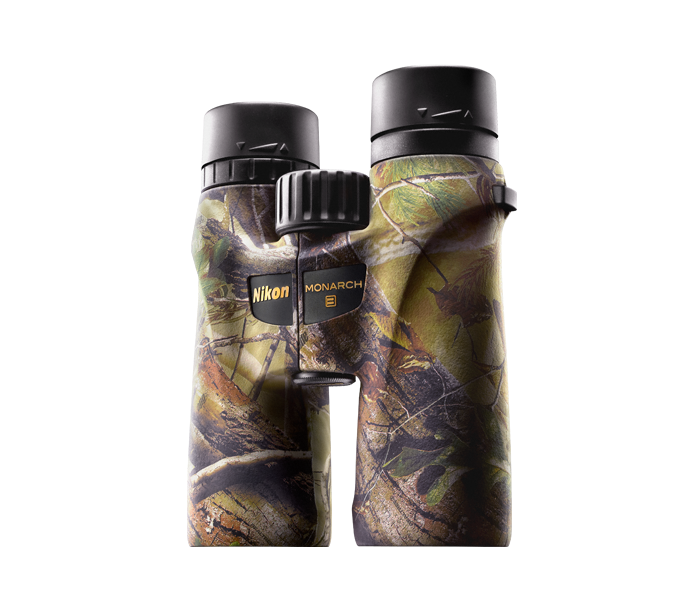 MONARCH 3 binoculars deliver, high-contrast images that display accurate color reproduction. MONARCH 3 binoculars are built to handle any environment. No matter what the weather conditions may be, you will always have a sure, non-slip grip on your binoculars, making them one piece of equipment you can always count on to perform. Allows a custom fit to your eye so there won't be any irritation after long periods of use in the field. MONARCH 3 binoculars provide excellent ergonomics, strength, and ruggedness in a package that is comfortable to carry and use all day long.